7/31/2015 Breaking News! 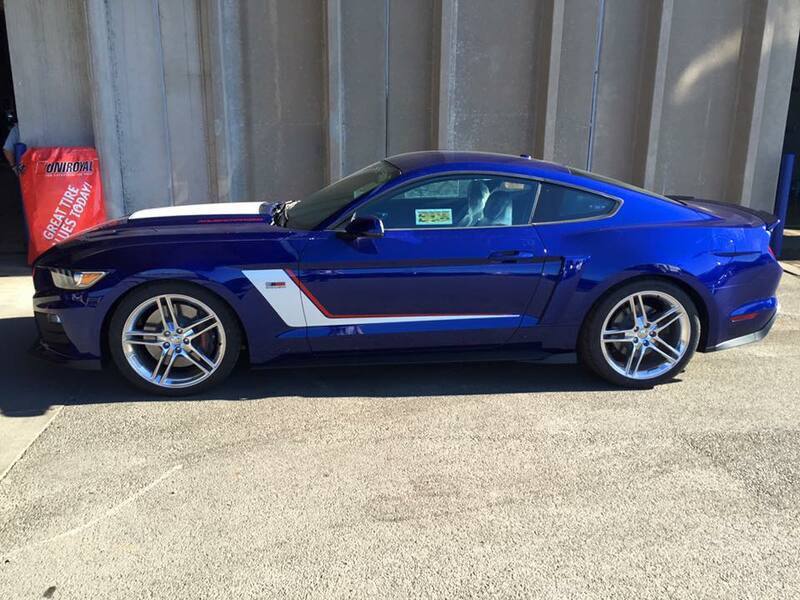 Our Roush Stage 3 is here! We are cleaning it up now but here's a sneak peek!! This one is sweeeeet!! You've read his columns in Mustang magazines for years. You've seen him talk Mustangs on "The History Channel and "SpeedVision." You may even own his limited-edition, sold-out hardcover history book "Mustang Dynasty." Now – you can meet him in person! Noted auto journalist and author John Clor, a former SVT PR man who today manages the club outreach program and enthusiast website content for Ford Racing, is hosting a Ford Racing Meet-n-Greet at our carshow on Sunday, September 13th! Don’t miss this chance to meet one of Ford’s best-known Mustang spokesmen at the Ford Racing tent! Veteran automotive journalist, author and marketer John M. Clor has owned, worked on, raced and written about cars and trucks for nearly four decades – and has long been a regular columnist for a number of magazines specializing in the Ford Mustang. John has been a member of the Automotive Press Association since 1989, with his work appearing in a wide range of both consumer and industry publications. Additionally, his marketing communications work for the likes of Ford, General Motors, Mazda and several automotive suppliers over the years has given him comprehensive insight into the auto industry that few journalists or analysts have attained. A native Detroiter, Clor paid his journalism dues with a 15-year editing career at The Detroit News before joining the staff of AutoWeek magazine, where he spent more than six years writing road tests and penning auto features as Deputy Managing Editor. John then jumped into the corporate automotive public relations world in 1995, when he became the Communications Manager for the Special Vehicle Team, Ford’s high-profile, high performance vehicle group. There, he helped developed media programs, dealer training, a consumer-facing web site, and marketing materials, including an award-winning newsletter, SVT News. Intrigued by the explosive growth of the Internet, John returned to journalism in 1999 for a three-year stint as Detroit Editor for the Edmunds.com auto web site. Clor’s broad-based automotive knowledge and engaging personality have earned him recurring guest spots on radio and TV, including CBS, CNN, PBS, The History Channel, A&E, Tech TV, SpeedVision, ABC Radio News, NPR, Michigan Public Radio, WJR, Public Reality Radio, and many other national and local media outlets. As a freelancer, John founded a communications firm called “Cars in Context” specializing in custom automotive writing, editing, research and consulting to a variety of outlets, including the Los Angeles Times and the Chicago Tribune as well as cable TV's Modern Marvels and Mad Men. He even hosts his own Cars In Context TV talk show on his local cable access station. Production of the new 2015 Roush Stage 3 Mustang underway at the Roush Performance factory in Plymouth, Michigan. 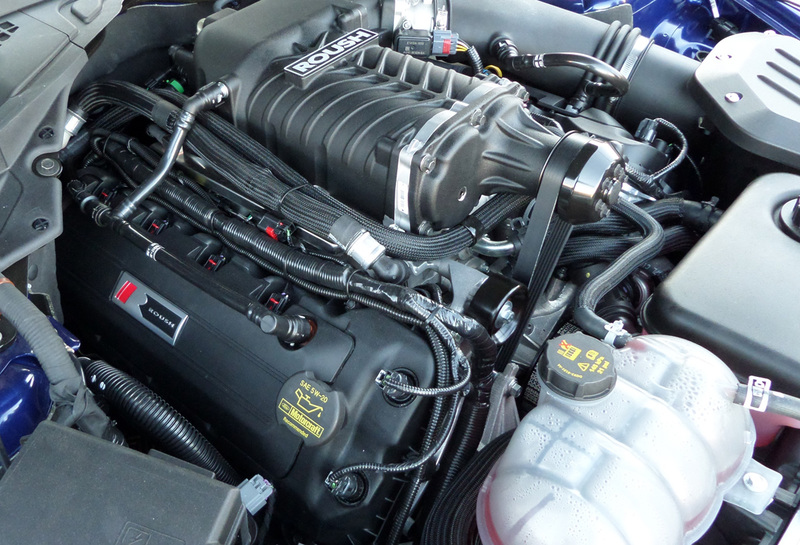 And available also to 2015 Mustang owners is the Roush/Ford Racing supercharger which resides under its hood. 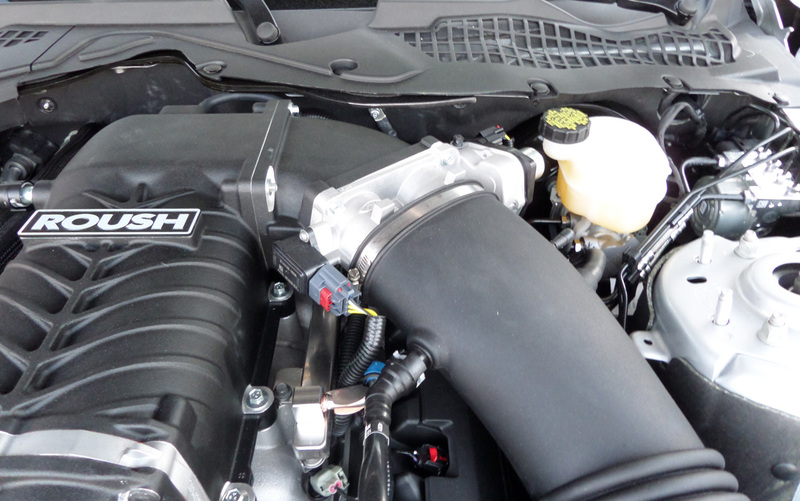 The first package calibration to come from Roush is called the Phase 1 and based upon the well-proven Eaton TVS2300 based supercharger. Created for the 2015 and up 5.0 liter Mustang V8, it brings 627 horsepower at 6900 rpm and 540 pound-feet of torque at 4700 rpm. Maximum boost comes in at 9 psi and 93 octane premium fuel is required. 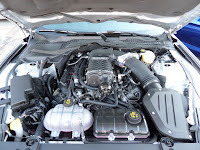 Looking around under the hood, packaging of the supercharger and its associated hardware may be familiar to earlier iterations though it’s nuanced a little for the 2015 Mustang’s narrower engine compartment up front. More attractive than the factory GT air-filter assembly is the Roush air-intake box which comes with the supercharger package and houses a conical filter inside. It uses some parts from the factory box, but has better breathing capacity throughout. A twin 60mm throttle body breathes air into the supercharger which is cooled underneath with an air-to-water intercooler which is integral with the Roush aluminum intake manifold. 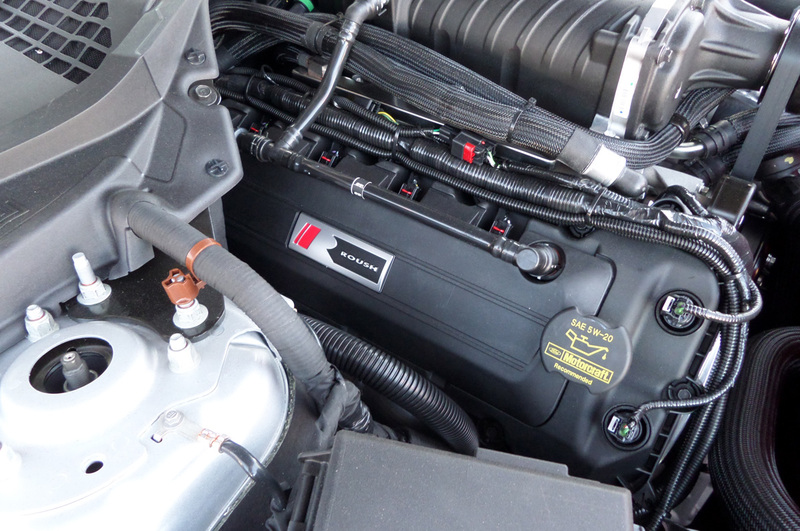 Higher flow fuel injectors and modified fuel rails are installed for increased fuel flow. The supercharger’s 85 mm pulley and drive belt uses a modified first-sheave accessory drive circuit. 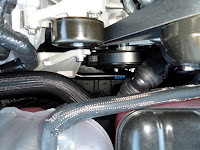 Additional pulleys added here allow the supercharger and A/C compressor to share the same belt. Other accessories in the second-sheave belt circuit remain unchanged. 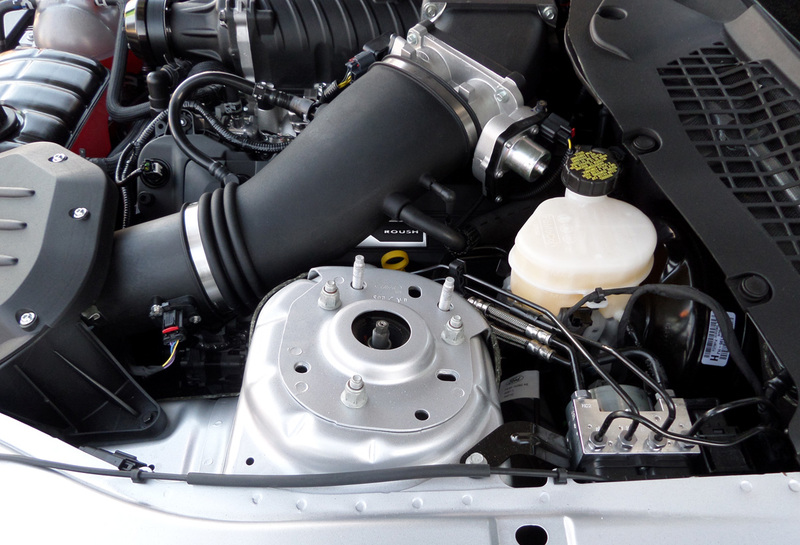 Aside the factory radiator coolant reservoir is the second one which is part of the supercharger package for the intercooler’s radiator circuit. 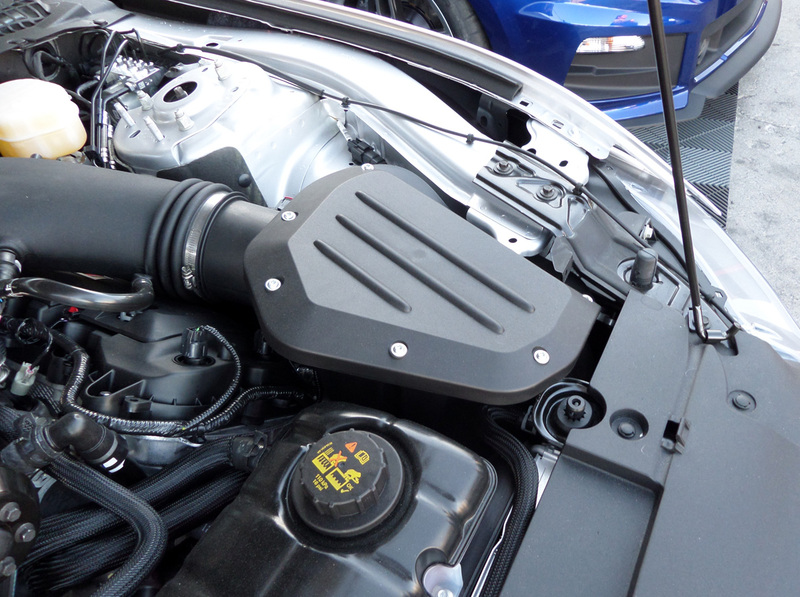 For 2015, Roush increased the size of the intercooler radiator for better thermal efficiency. Overall the installation is very OEM in appearance and execution as expected. 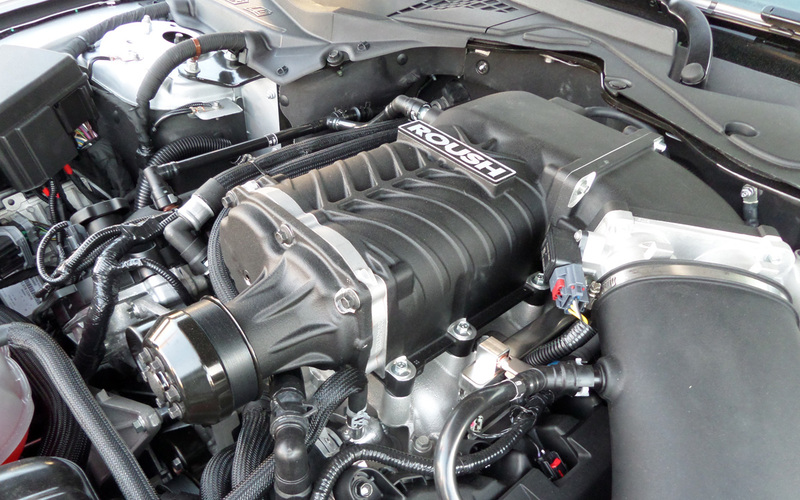 Roush Performance has long lived in the OEM engineering environment and their work shows it. The calibration is 50-state legal whether you buy the production car or install the package on your Mustang. Prototype Stage 3 Mustangs photographed here have ROUSH logo superchargers, where production models will have ROUSH/Ford Racing logos. There are also shown ROUSH logo valve covers and missing is the engine bay serial number plate that would come on a production model Roush. Roush showed their hand at the SEMA Show with additional concept models based on the Mustang such as the Trak Pak Stage 3. 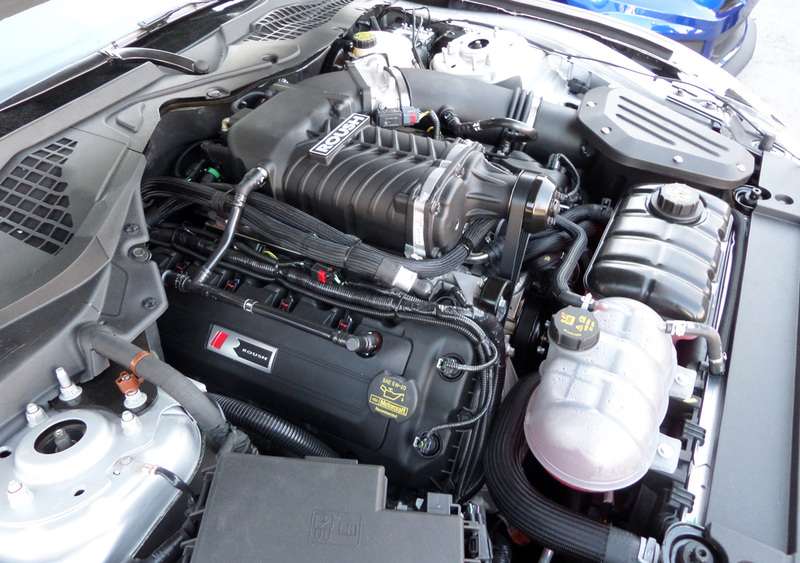 Under hood was a Roush-Yates fully forged engine with a higher tune supercharger package good for 777 horsepower. This shows room for Phase 2 and even Phase 3 versions of the versatile TVS2300 supercharger package when installed on fortified engines which can take the boost and fuel mixtures. 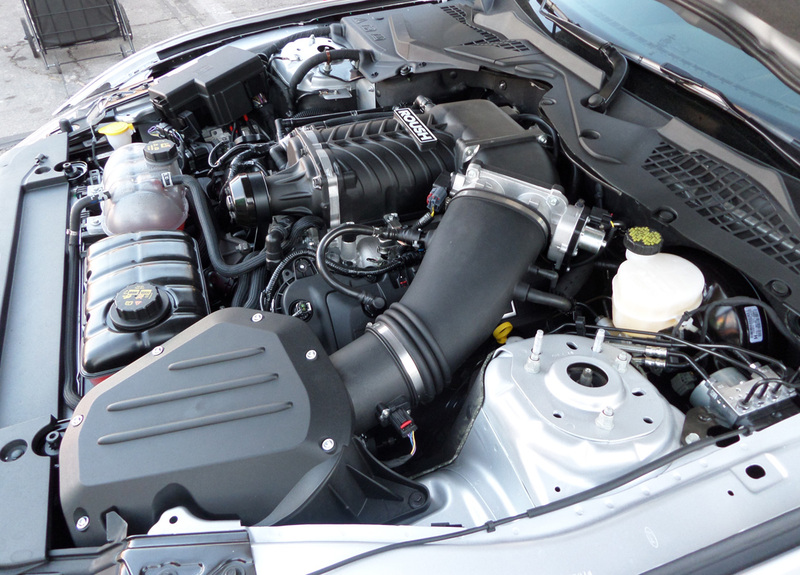 The Roush Stage 3 Mustang comes with a 3 year / 36,000 mile warranty as does the aftermarket supercharger systems. So you can feel confident when you mash that gas pedal and listen to your supercharger scream.